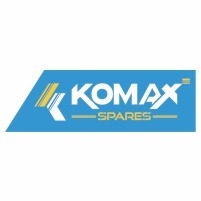 Welcome to Komax Spares cc. We are South Africa’s leading earthmoving parts and components dealers. Komatsu parts are high quality and precision made to ensure low voice, high speed and long life. We are committed to offering factory components which provide quality and reliability, combined with exceptional value. Using new and innovative technologies, we are committed to reducing the owning and operating costs of your Komatsu machine by delivering high-quality and competitively priced products. With a mission to cater to the varied needs for spare parts and services of Heavy Earthmoving Equipment, Komax embarked its journey. It has a background of trading in Diesel oil Engines, Spares and Generators etc. Over the years, the company has grown rapidly and has acquired a significant position in the South African market. Owing to our untiring efforts and a strong commitment to customer satisfaction. Tags: Transmission disc & plates, ground engaging tools, bucket pins and bushes, cylinder repair kits, engine spare parts, hydraulic pumps, final drive parts, undercarriage, filters.